To keep the momentum going, China and Israel have signed the Authorized Economic Operator (AEO) agreement that would simplifies and standardizes customs procedure on trade between the two countries, allowing exporters to bypass custom checks or delays. China and Israel only established diplomatic relations a little more than two decades ago, but China is already Israel’s biggest trading partner in Asia, with trade between the two countries reaching a record high of over $11 billion last year in 2014. Increasingly, Israel is expanding its trade business with East Asian countries. AEO agreement is first implemented in the United States in 2007. According to the World Customs Organization, the objective is to get all national programs mutually recognized, meaning that AEO accreditations would have the same value everywhere. As a result secure supply chains can be established, as all parts of the chain from origin (place of stuffing of the container) to destination (place of unpacking of the container) are deemed to be safe, albeit under different AEO programs. This would greatly facilitate global trade. 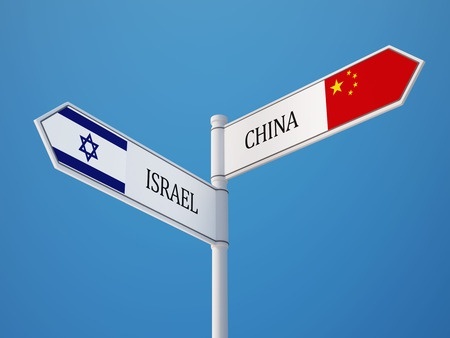 AEO agreement between Israel and China will enable approved companies in both countries to benefit from expedited customs procedures on trade in goods and services between China and Israel, in recognition of their compliance with tax and customs requirements. It is worthy noting that trade between Israel and China last year totaled 11 billion dollars, about $8.1 billion in of which consisted of goods and services exports from China to Israel. Israel imported $7.4 billion from U.S. For the first time, in 2014, Israel imported more from China than from the United States. Israeli Prime Minister Benjamin Netanyahu has also stressed Israel’s eastwards focus as it looks not just for more economic but also political allies. Amit Ben-Yehoshua is a dual citizen of the United States and Israel and is licensed to practice law in California and Israel. Amit has over sixteen years of legal experience and holds a Master Degree in Chinese law from Tsinghua University in Beijing. Amit is a co-founder of the Israeli Chamber of Commerce in China and the Israeli Chamber of Commerce in Shanghai and served as a member of their respective Board of Directors. Amit serves as a Senior Counsel for Dacheng Law Offices, LLP (Shanghai), world’s largest law firm, and specializes in international investments between China, Israel and USA.